On Thursday, October 17TH, MARC: Community Resources, held their 58th annual meeting at the Middletown Elks Club where members from the Middletown Garden Club were recognized with the “Volunteer of the Year” award. MARC: Community Resources, is a multi-faceted organization that serves hundreds of adults and children with disabilities in employment, vocational, elderly, recreation and habilitative programs. Last winter, an opportunity to have MARC host one of their recreation groups on the Community Health Center, Inc. rooftop was just an idea that quickly became supported by The Middletown Garden Club and brought to life in such an amazing way. The Community Health Center, Inc. (CHC) of Middletown opened their comprehensive primary care facility in May of 2012. 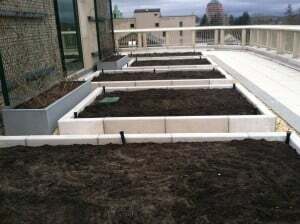 The new building on the north end of Main Street included a “green rooftop” with seven garden plots added in the blueprint to be utilized by the community. As we fast forward more than a year and a half later, the outcome of gardening with other Middlesex County organizations has surpassed our expectations immensely.The Middletown Garden Club (MGC) is a large organization with members across Middlesex County that was founded in 1912. The club as a whole focuses on a variety of conservation, arranging, fundraising and civic projects. Five Middletown local members agreed to partner with MARC: Community Resources this past spring and it instantly turned into a learning and growing experience for all individuals involved. The MGC took on the role of planning what vegetables, herbs and flowers to add in each of the rooftop garden beds and with the financial support of the Community Health Center, Inc., the first day of “Garden Club” began in April. 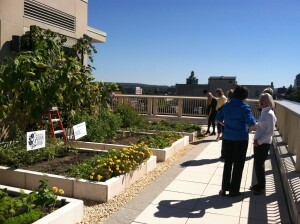 From then on, every Tuesday, members from The Middletown Garden Club, Staff and Consumers of MARC and various CHC AmeriCorps members spent an hour on the roof learning, sharing and gardening together. MARC: Community Resources follows the mission statement of empowering adults and children with intellectual and developmental disabilities to realize their dreams and make choices about their lives. For one hour per week, the core group of volunteers from MGC brought their knowledge, patience and compassion with them. From April to October, the weekly gardening continued and the benefits of the program included: newfound knowledge of horticulture, responsibility & ownership of maintaining a garden and sharing of what these beds were producing. Depending on the week, different participants were able to take vegetables and herbs home along with regularly donating to Amazing Grace Food Pantry. 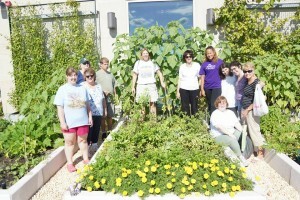 The groups also came together in August to prepare a meal using freshly picked produce in the CHC kitchen. The end result for this collaboration is a combination of newfound friendships and gardening skills added into excitement for next year’s planting season. 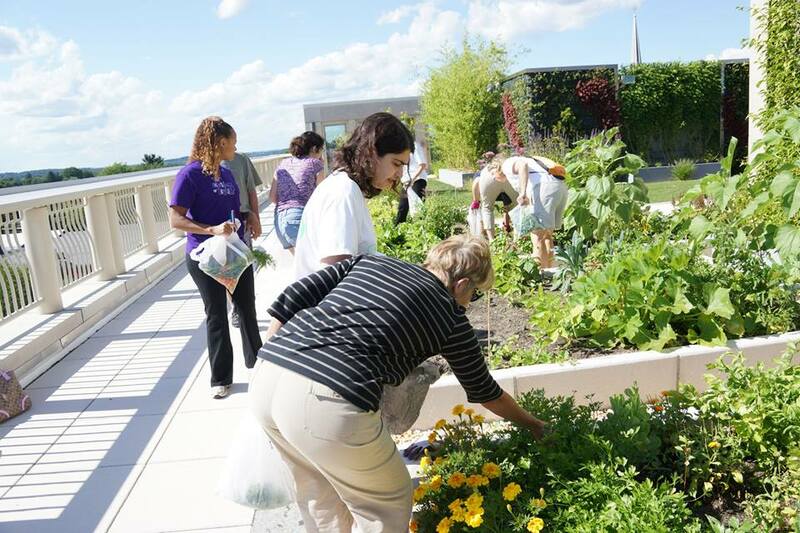 The Volunteer award given to the Middletown Garden Club definitely reiterates the dedication, kindness and overall knowledge that these special members brought week after week to the rooftop garden at CHC. Without the Middletown Garden Club volunteers, none of this would’ve been possible and on behalf of the Community Health Center, inc., we thank them for letting us be apart of this learning and growing experience. 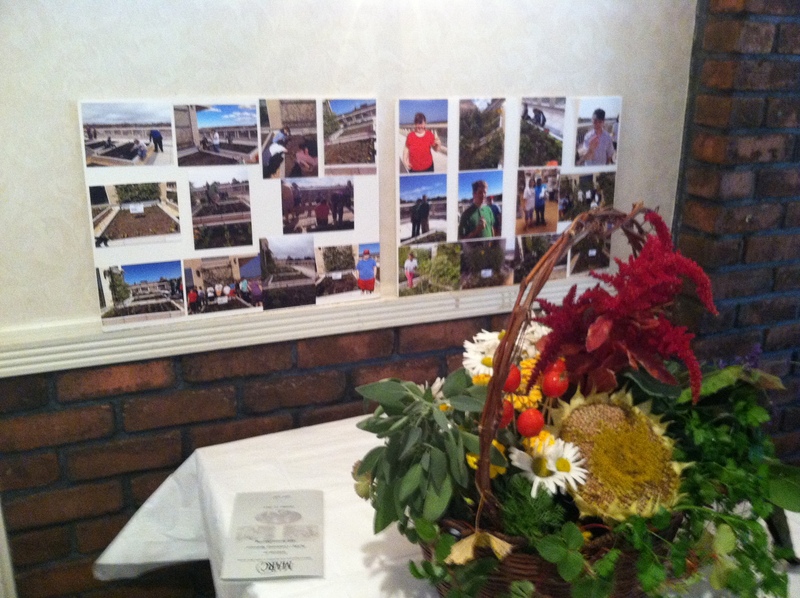 Display table at MARC’s annual meeting: Middletown Garden Club made the arrangement from rooftop crops! What the beds looked like in Mid-September! working together on the roof this summer! 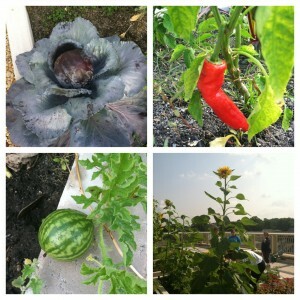 A sampling of what was grown on the roof!